More effective than toy trains and more humane than strapping your phone to the dog, radio-controlled cars seem like an excellent to way to hatch Pokémon Go eggs. Aside from actually walking, of course. Worn out after a long day of actually walking, YouTube RC car enthusiast Theibault combined his passion for tiny vehicles with his drive to catch them all, and it seems to be working out nicely. Since Pokémon Go uses GPS tracking instead of an accelerometer for tracking distance traveled, shaking your phone will do you no good, and setting up a train track or other in-circles pursuits have to be pretty wide to register as movement. 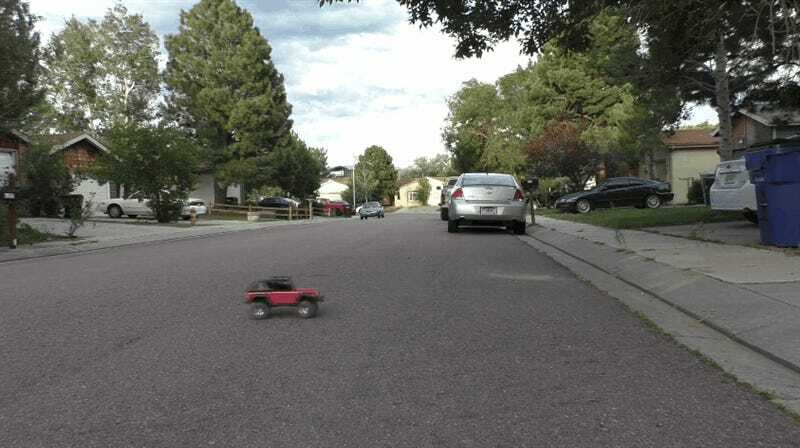 A good radio controlled vehicle has plenty of range, plus they can drive slowly enough that the game doesn’t see it as just being inside a car. Plus RC cars are so much fun. You can even set up a remote access program so you can catch any critters the RC vehicle runs across. Or, conversely, you could just walk. I don’t recommend it. It’s hard.